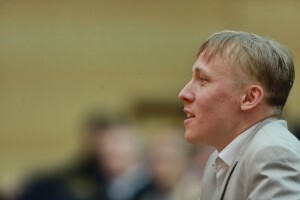 Ruslan Ponomarev: I have good impressions and memories! Before the Opening Ceremony chess players was expressed the expectations of tournament. - Ruslan, I am glad to see you here, especially knowing that you were in Thessaloniki on day ago in front of a chess-board, taking part in Grand Prix tournament. How often do you generally play blitz championships? - As you know there is a rating in both rapid and blitz nowadays. And if you have a look on official ratings of FIDE on rapid and blitz you will not find me there, because I just have null. That means that in these sphere I will play as a beginner ( laughs). We will check now how well I play rapid and blitz. - I know that you have already been in this beautiful city. What kind of impression do you have about Khanty-Mansiysk? - I have been here for 4 times already. Of course I have good impressions and memories! I have played several World Cups, and two times reached the finals. In 2010 our team won World Chess Olympiad. - What are your expectations here, do you have favorites? - It may sound funny but I even don’t know who is registered for the games. We will play and see. - We know you as an experienced blitz player. What are your expectations this time? 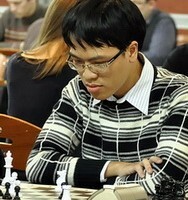 - Well, I took part in the World Blitz Championship in Astana last year as well, and took the 7th place. As for this tournament, I would say that I love playing blitz, rapid, and of course, I will do my best to perform well in the tournament. - Speaking about the last World Blitz Championship, can you please compare the participants of the previous championship in Astana and the one which starts tomorrow? - Definitely, last year’s competitors were much stronger, there were only 16 participants and it was not easy even to get there. - What do you think, why most of the leading players have not come this time? - It is difficult to say, everyone has his own reasons, but I am sure the competition will be very exciting this year too. - As far as I know you preferred to take part in blitz and rapid tournaments before. What is the reason for that? - Yes, I used to play blitz before as it gave me a great pleasure. I can tell you that even now I enjoy that kind of chess but I don’t play blitz so often any more. - What can you say about the list of participants, do you have some evident favorites? - Many strong chess players will take part In the championship such as Alexander Grischuk, the world champion in blitz, Shakhriyar Mamedyarov and others. I believe it’s not possible to play good in rapid and blitz if you are not good in classic. Of course there are some exceptions; we can see some of them in Internet. - The first prize in the tournament is 40.000$. 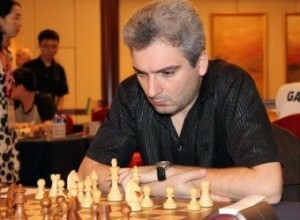 Why don’t we see other elite chess players here? There are many tournaments in the world right now and many players take part there. For example the tournament in Greece finished just two days ago, so it was not easy for participants of that event to come here. - I know it’s your first trip to Khanty-Mansiysk. How do you feel here? - Yes, actually I am here for the first time and first impressions are great. - How do you estimate your chances in this tournament? - Well, if you look at the list of participants, you will notice, that I’m placed in the second half with my rating. However, I can say that these kinds of tournaments are usually unpredictable. I will try to do my best. - And how often do you play in such kind of tournaments? - It depends. For example, I played similar tournaments during Aeroflot Open and in United Arab Emirates. However, it would be a sin not to come. - Your generation adores playing blitz. I suppose you are not an exception? - Yes I also like it a lot and I can say that I play it pretty often. Those kinds of tournaments are very attractive for me. - Is it hard to play blitz and rapid chess? Do you feel pressure? - I think it’s I tens more playing classic chess. Here you can relax and play calmly. - What can you say about the list of participants. 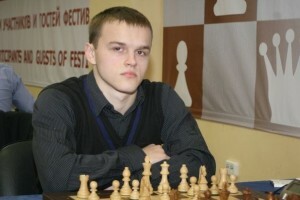 - In spite of the fact that some other elite chess players could be playing, for me the cast is strong enough. It would be nice to compete with the senior colleagues.